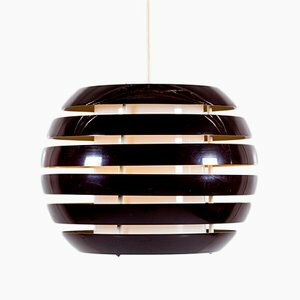 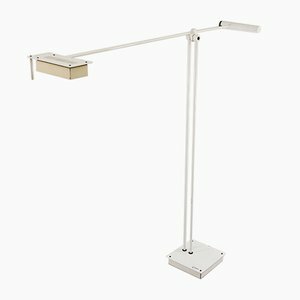 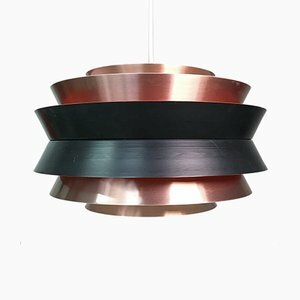 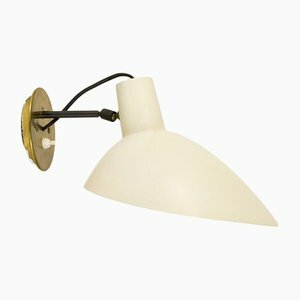 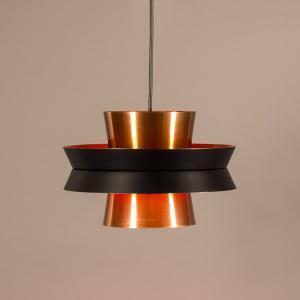 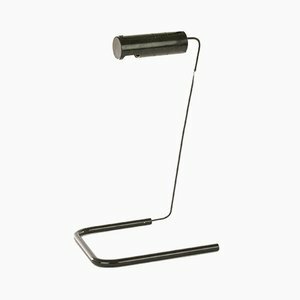 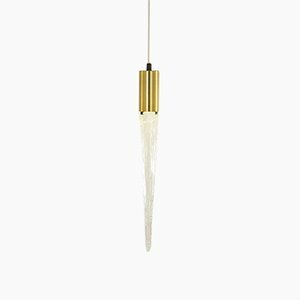 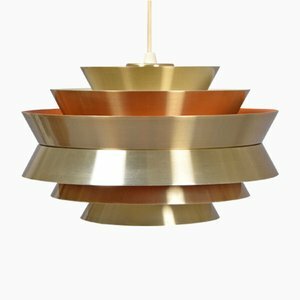 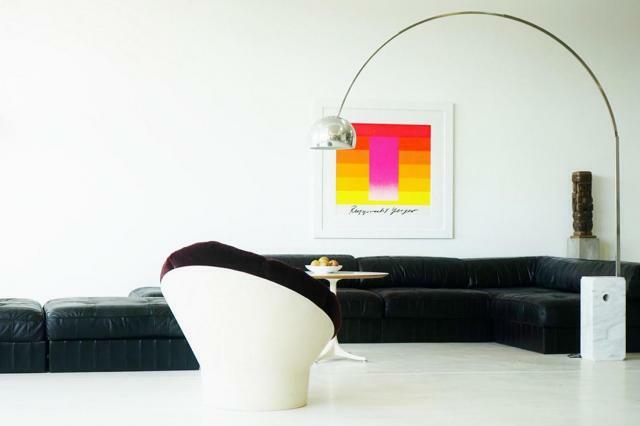 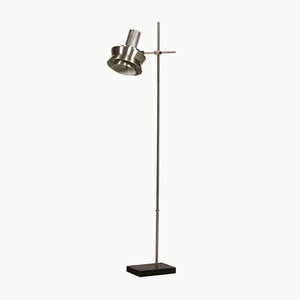 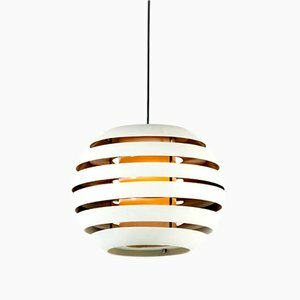 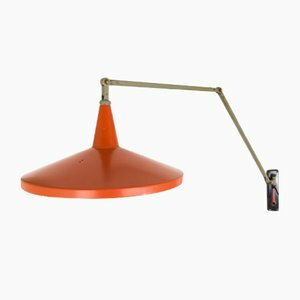 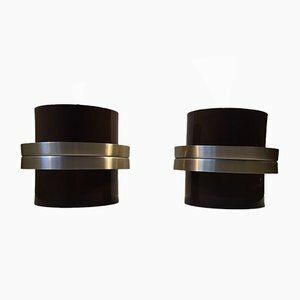 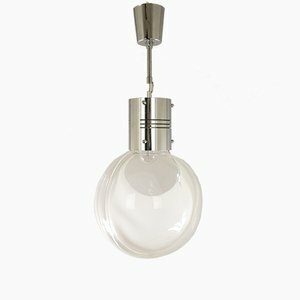 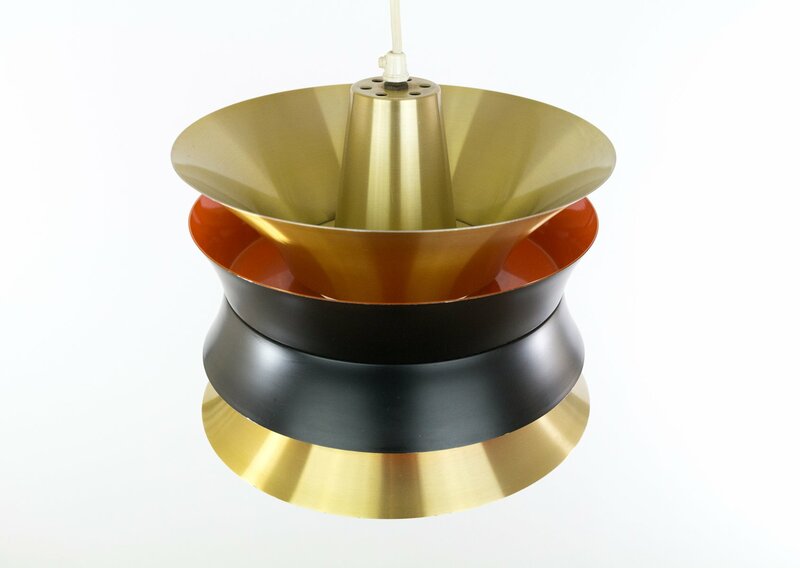 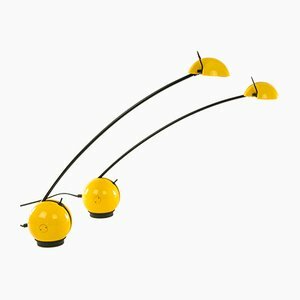 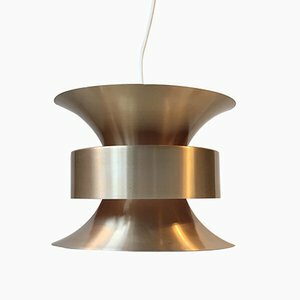 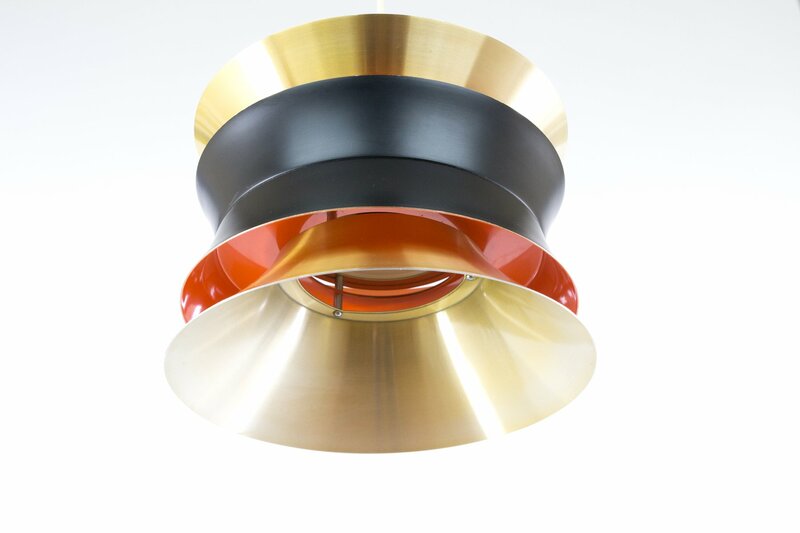 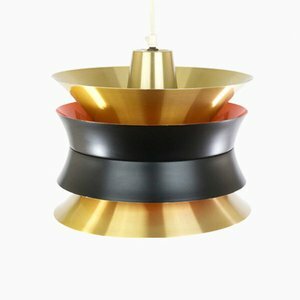 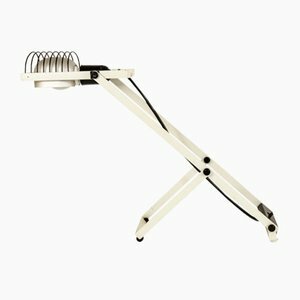 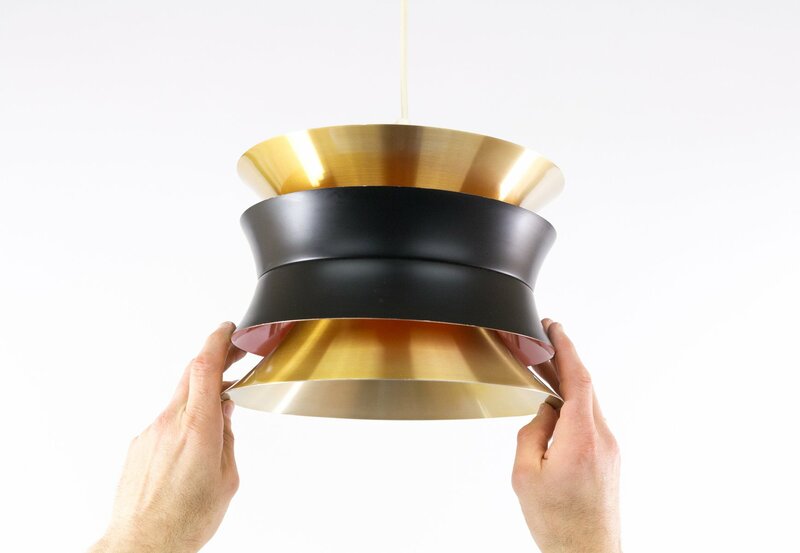 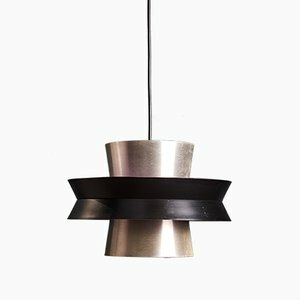 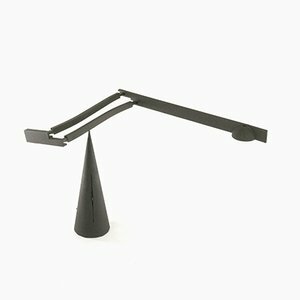 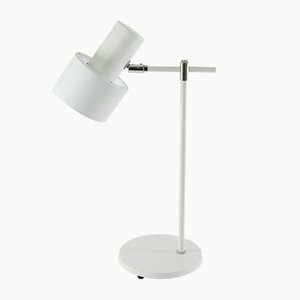 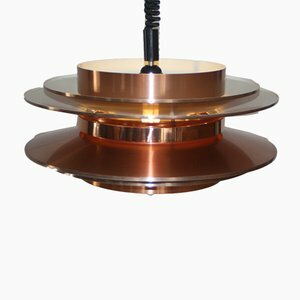 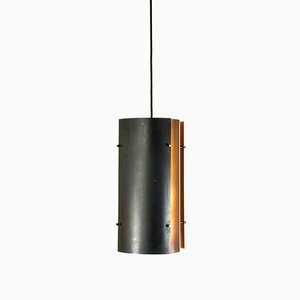 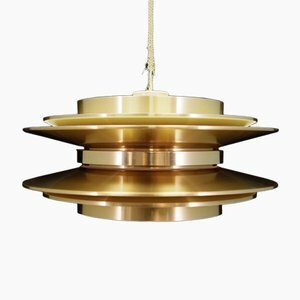 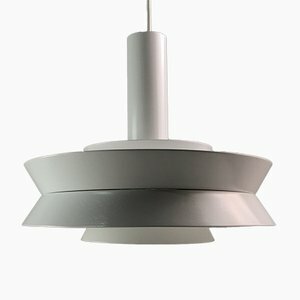 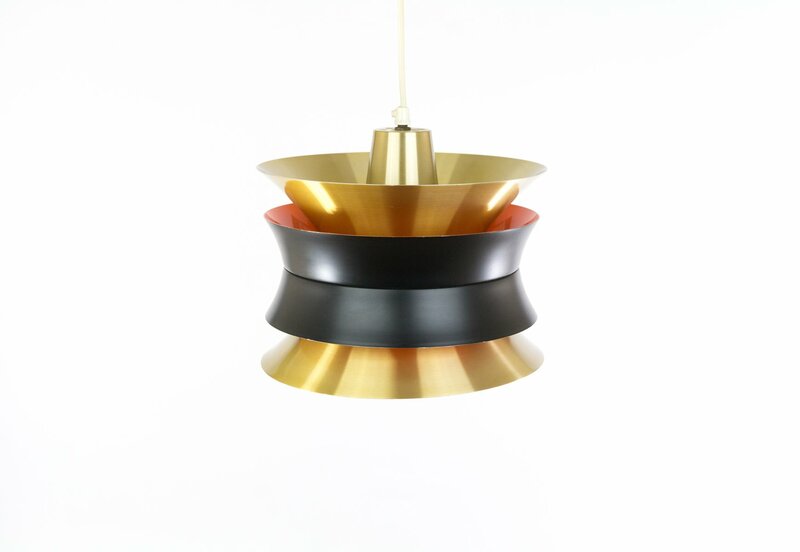 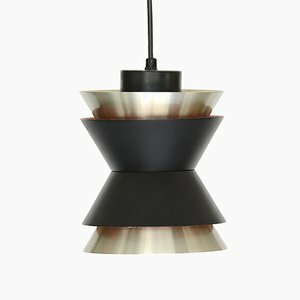 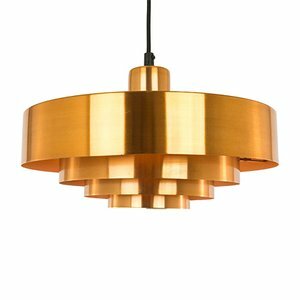 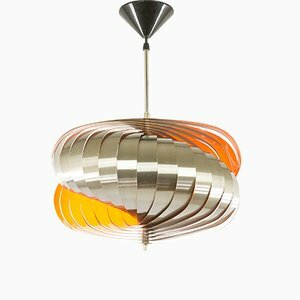 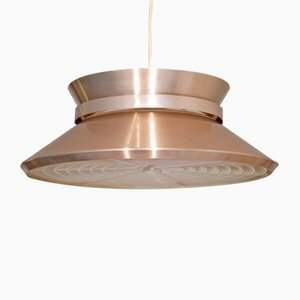 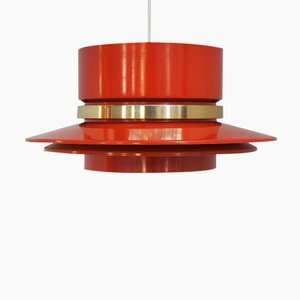 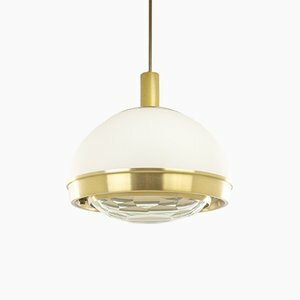 Carl Thore designed this medium-sized pendant for the Swedish lighting company Granhaga Metallindustri. 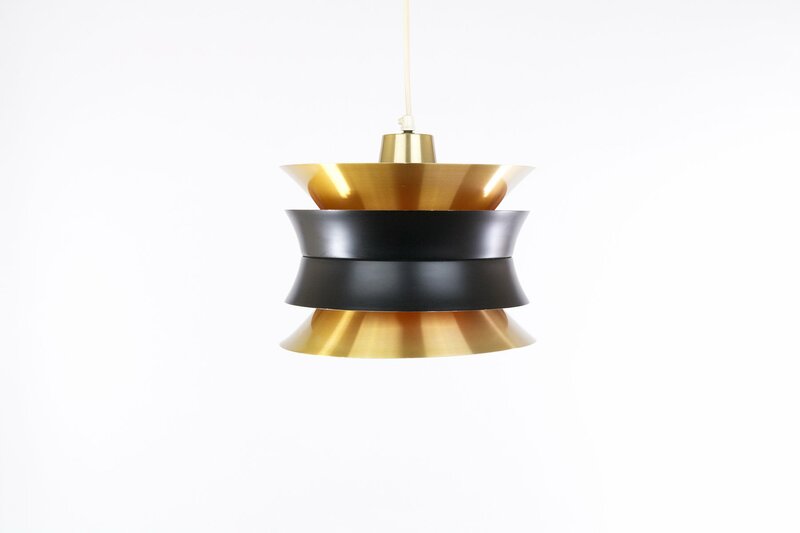 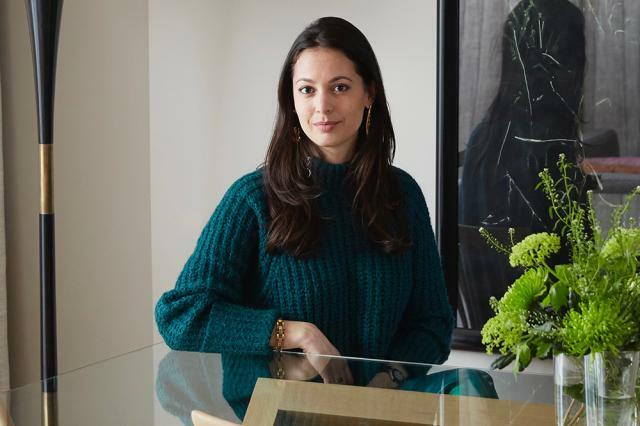 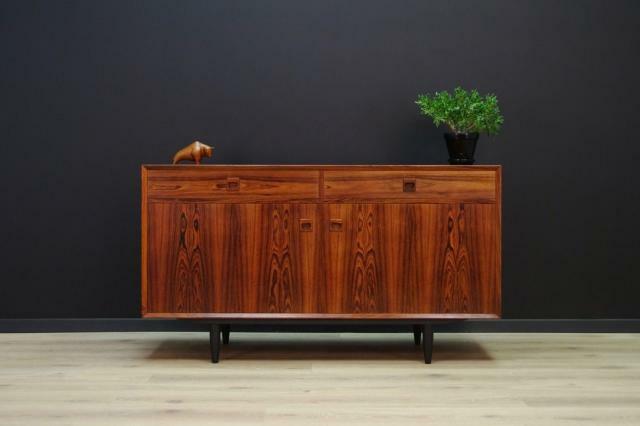 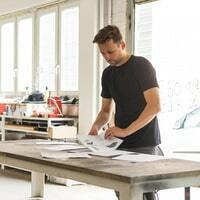 The model is part of the Trava series (which translates as 'stack'). 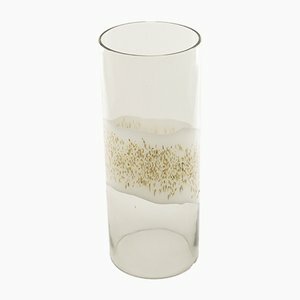 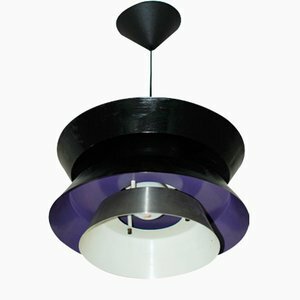 They were produced in numerous styles, sizes, and colors throughout the 1960s and 1970s. 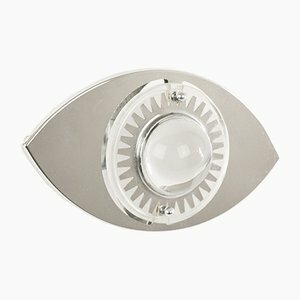 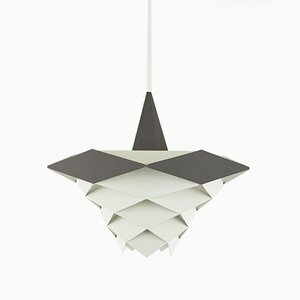 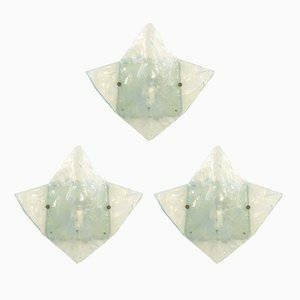 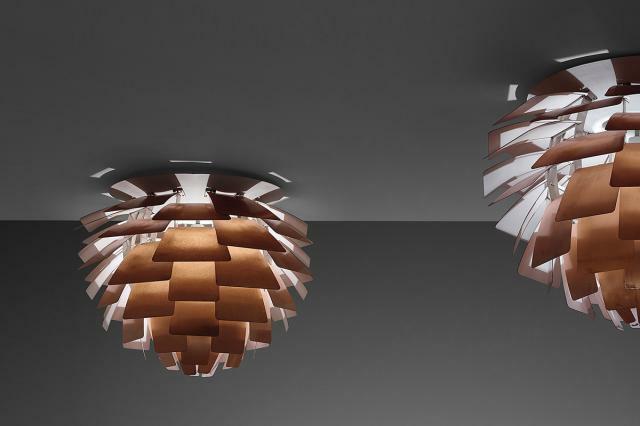 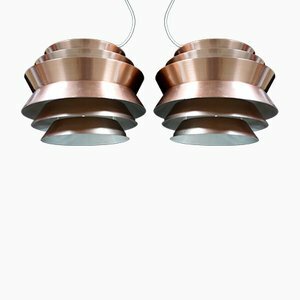 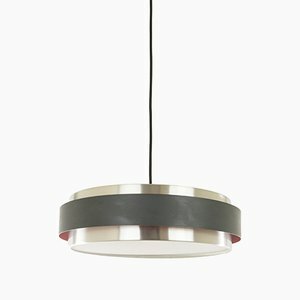 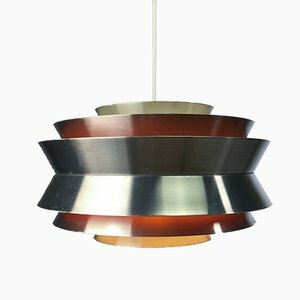 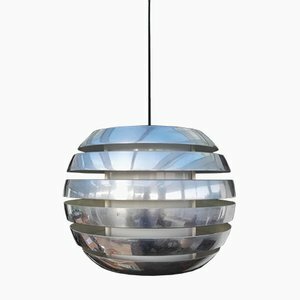 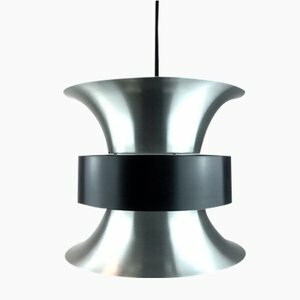 This pendant consists of four aluminum shades. 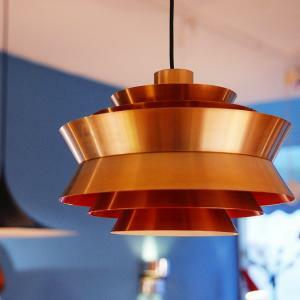 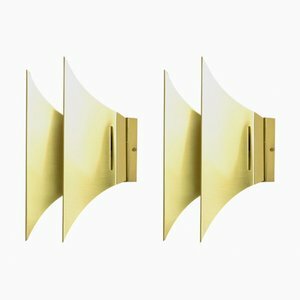 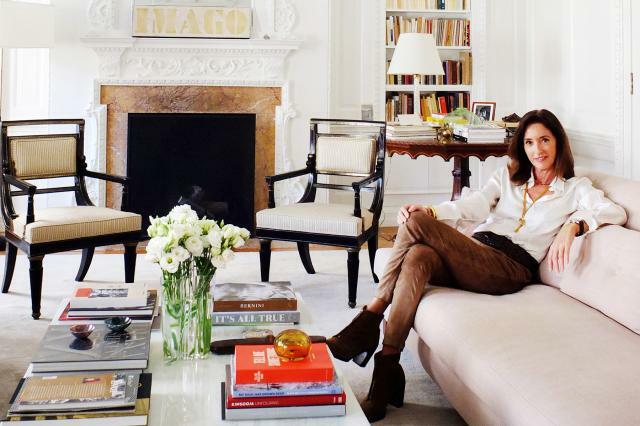 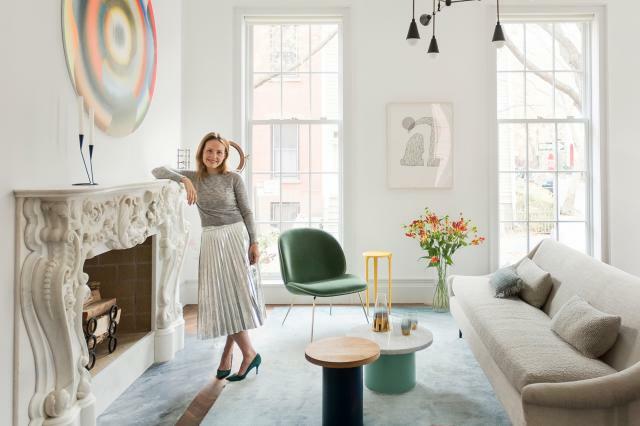 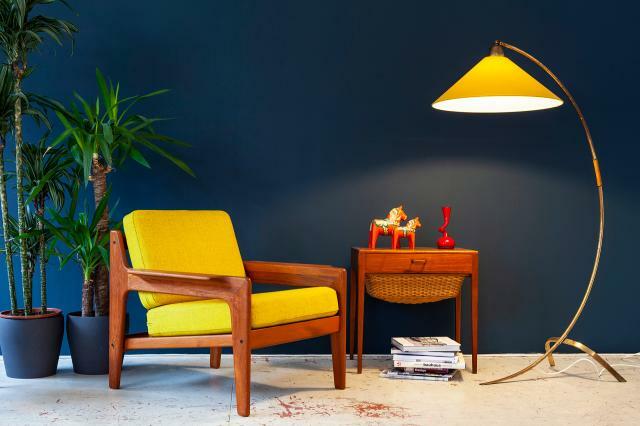 It features an orange coating on the inside and a brass-colored shade.